In the General Audience this morning, Pope Benedict XVI gave his catechesis on the life and work of St. Francis of Assisi. Calling him a veritable “giant” of holiness, the Holy Father said that his outreach to Muslims can serve as a model for Christian-Muslim relations today. 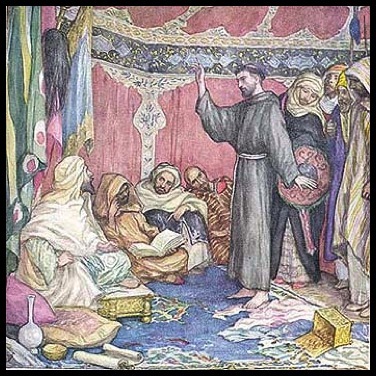 St. Francis was born in the late 12th century to a wealthy family and at 20 years old took part in a military campaign at which time he was taken prisoner, explained the Pope. After falling ill, he was freed and made his way back to his native Assisi. “After his return… a slow process of spiritual conversion began in him which made him gradually abandon the worldly lifestyle that he had practiced until then,” he recounted. What’s Behind Christian-Muslim Fighting in Nigeria? “The cycle of violence is explained by the fact that both the two communities, Muslim and Christian, share many of the same problems, including lack of economic opportunities,” says Corinne Dufka, an Africa researcher with Human Rights Watch, based in Dakar, Senegal. Archbishop Cyprian Kizito Lwanga, chairman of the Inter Religious Council of Uganda (IRCU) on January 20 made his first visit to the Muslim seat at Old Kampala where he advised Muslims to unite. Archbishop Lwanga was accompanied by over 150 Roman Catholic priests from Kampala Archdiocese and was received by Sheikh Shaban Ramadhan Mubajje. 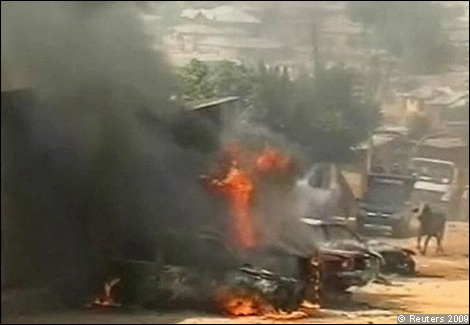 Clashes between Muslims and Christians in the Nigerian city of Jos have claimed scores of lives in the latest flare-up of religious violence to affect Africa’s most populous nation. 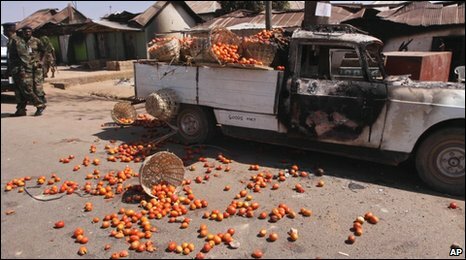 Rights activists said the death toll topped 200 after unrest broke out in one suburb on Sunday, prompting authorities to impose a 24-hour curfew. Hundreds more are believed to been injured in clashes that appeared to subside on Wednesday. Recent attacks against Coptic Christians in Egypt and firebomb attacks on churches in Malaysia have raised major concerns about deteriorating rights and security for religious minorities in Muslim countries. In the twenty-first century, Muslims are strongly challenged to move beyond older notions of “tolerance” or “co-existence” to a higher level of religious pluralism based on mutual understanding and respect. Regrettably, a significant number of Muslims, like very conservative and fundamentalist Christians and Jews, are not pluralistic but rather strongly exclusivist in their attitudes towards other faiths and even co-believers with whom they disagree. It was 2006 when I sat with a friend, Hikmat Farha, at the foot of a snow-capped Mount Hermon. Our conversation was about politics, as it usually is in Lebanon, and to make a point, he cited Imam Ali, warrior, sage and seventh-century caliph whom Shiite Muslims consider the divinely sanctioned successor to the Prophet Muhammad. “Don’t be afraid to walk in the path of righteousness, even if you must venture alone,” Hikmat said, his rendering of Imam Ali’s words from Nahj al-Balagha, the Way of Eloquence, a collection of sayings, sermons and speeches that has served for centuries as a model of Arabic, much the way Cicero’s speeches did for Latin. I remember clearly, when I was growing up in Abu Dhabi, the local Anglican bishop being invited to Muslim households for lunch – often on Christmas Day. I recall an Egyptian Muslim lady telling me that as a child she had a Jewish classmate, in a Catholic school, where she was taught Islam by local teachers, and other subjects by nuns. Schools in the Arab world often had a mix of Christian and Muslim children, all having deep loyalty to their countries while maintaining their own religious affiliation. 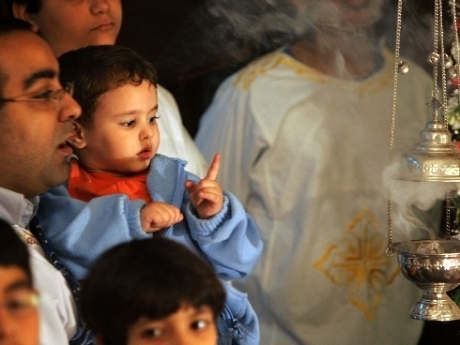 Indeed, strong Muslim-Christian harmony has long been a feature of the Arab world. So what are we to make of events in Nag Hammadi in southern Egypt last Wednesday night – Christmas Eve in the Orthodox Christian calendar – when six Coptic Christians were shot dead by Muslim gunmen as they left midnight mass?